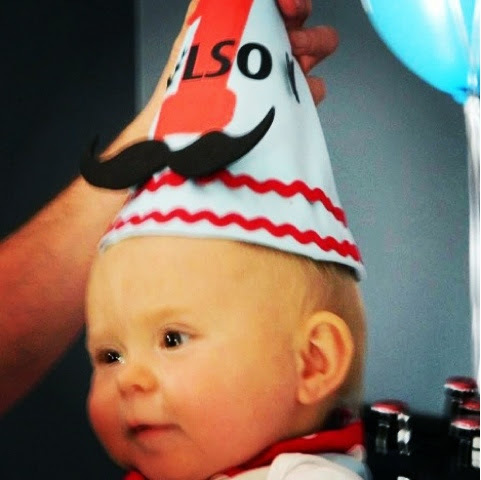 My little man is officially one year old. This year has gone by so fast. 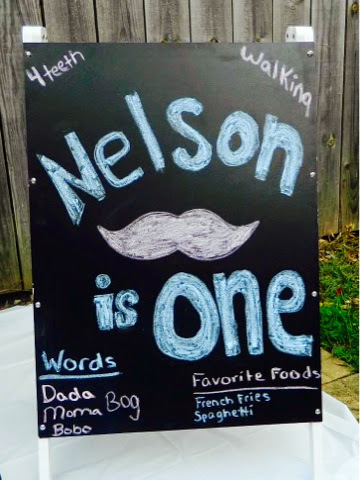 My little man is walking, talking and eating everything you put in his face. 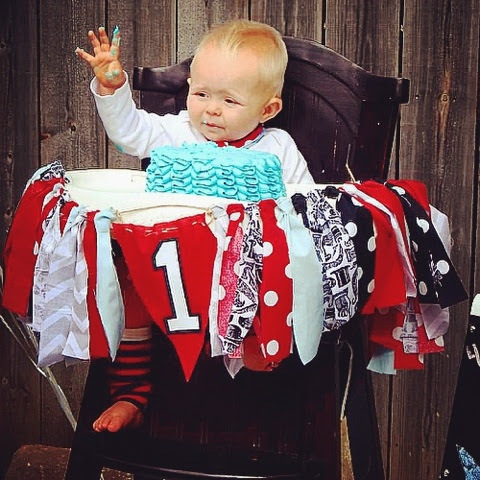 His first birthday turned out so good. I prayed and prayed that the weather would be nice, so we could have his party outside. 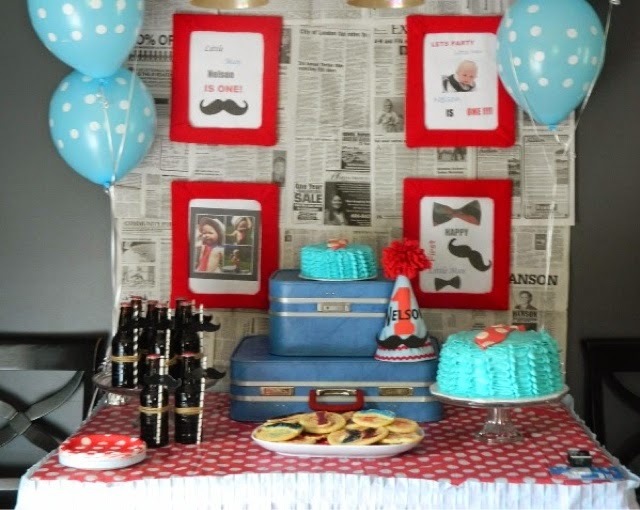 I searched and searched for a birthday theme that I thought would be suitable for a first party. 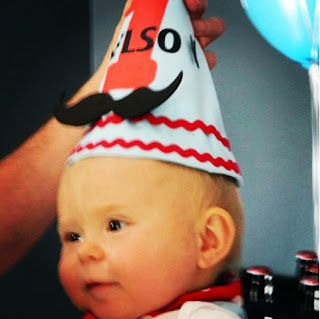 I even posted some of my favorite themed boy's 1st birthday parties several weeks ago. I decided to go with the Little Man Theme. I just fell in love with all the ideas I saw on Pinterest. To get into the theme of the party, I put mustaches on my nails by Jamberry Nails. If you don't have a consultant I have a good friend who sells them and she would be excited to have you inquire about them (let me know if you are interested and I will email you her name and email). 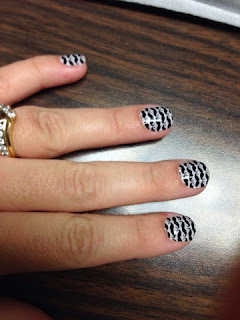 Don't the nails look good? They really got me in the spirit of the theme. 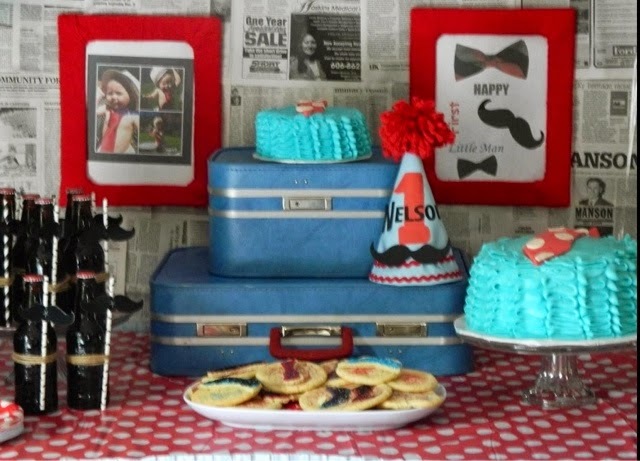 The cake table was a big hit. I used newspaper from the day of his birthday to cover the wall. I made sure to cover all of the colored ads up. Each picture was in a cardboard frame that was wrapped in red yarn. I wanted a vintage feel, so I had my Mom breakout the old suit cases. I remember using these as a little girl. We painted the handles red to add some color. I made a cream cheese icing for both cakes. 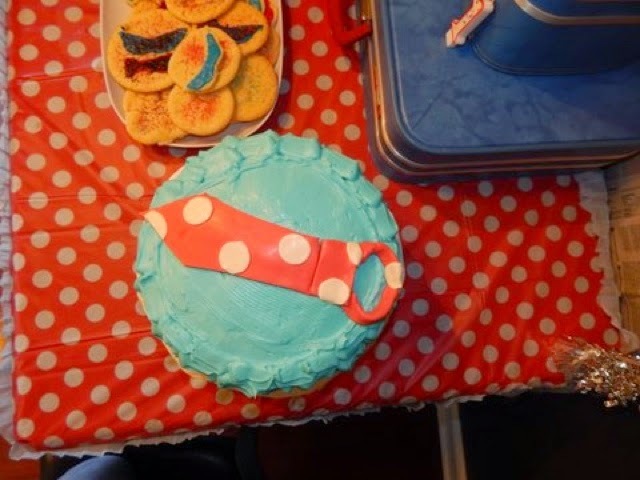 This was my first time ever doing the ribbon design. It was time cosuming but well worth it. I have to give my Mom credit on the hat. 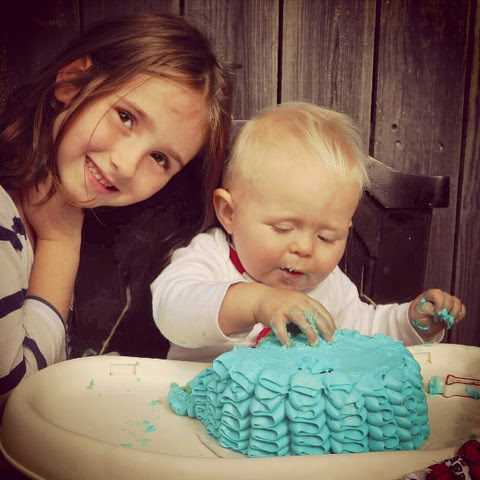 She designed it and created it for the birthday boy. Here is the top of the cake. I just love the tie. 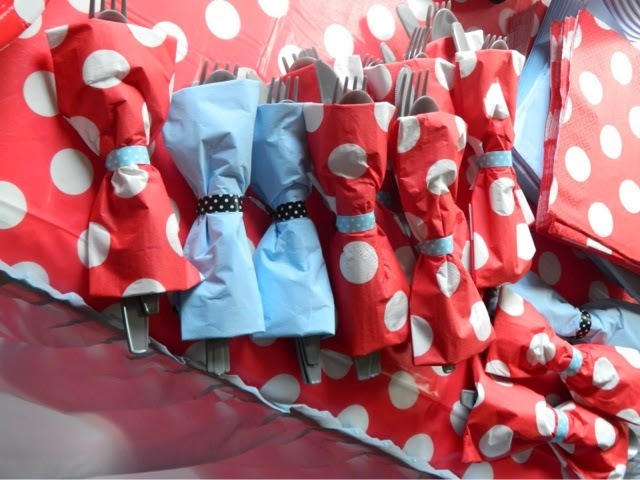 We had Bow Tie Silverware (Silver Plastic). 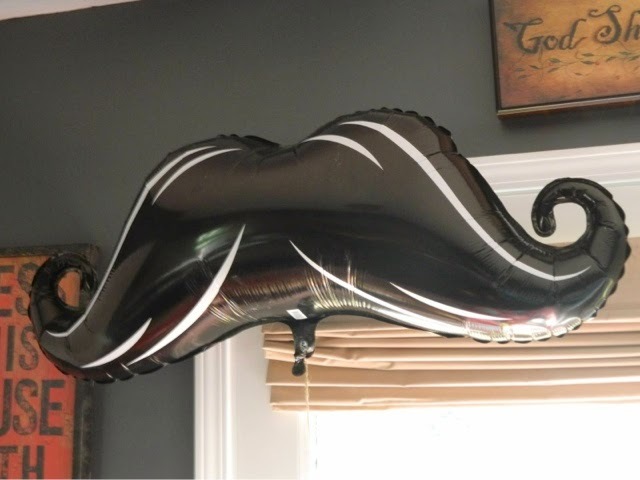 We could not have a party with out a Giant Mustache Balloon! I placed this balloon on the food table. I served MANwich, Bowtie Pasta, Chips, MAN - Subs, and potato salad. 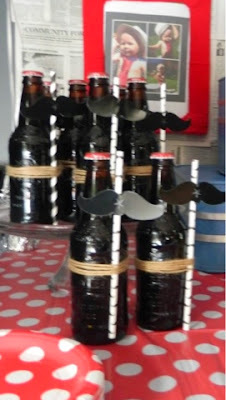 We served Root Beer in bottles. 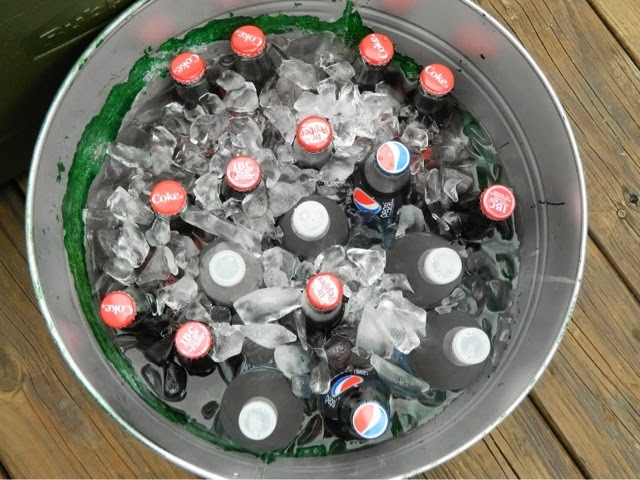 And for the guests who did not like Root Beer, we served Dr. Pepper, Pepsi, and Coke in bottles. When serving things in bottles, always remember to have a bottle opener. Some bottles are twist tops and some are not. Here is where all the fun was at. 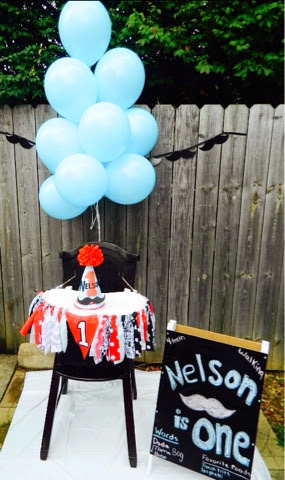 We were blessed to have good weather, so we placed the high chair outside. I felt like there was more room for everyone to see him if the cake was done outside. 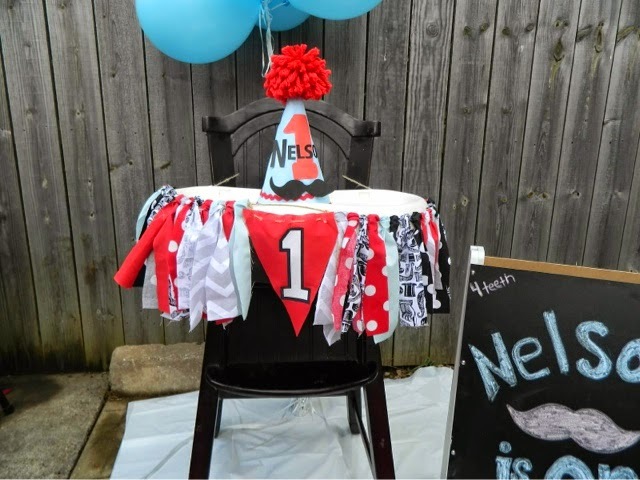 I worked hard on the high chair cover. Making a fabric banner is very time consuming. Here is a picture of the board I made to sum up little mans firsts. 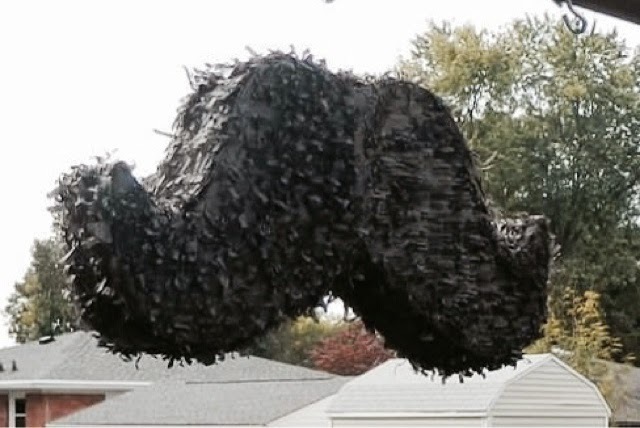 A party would not be complete with out a giant mustache piñata. The kids had a blast hitting it. Even the birthday boy had fun taking his hits. He hated wearing the birthday hat. Big sissy had to get in to the pics too. I am glad because this picture is my screensaver at work. Thank you for checking out our party! Little Man says Good Bye.